Now… They are supportive. 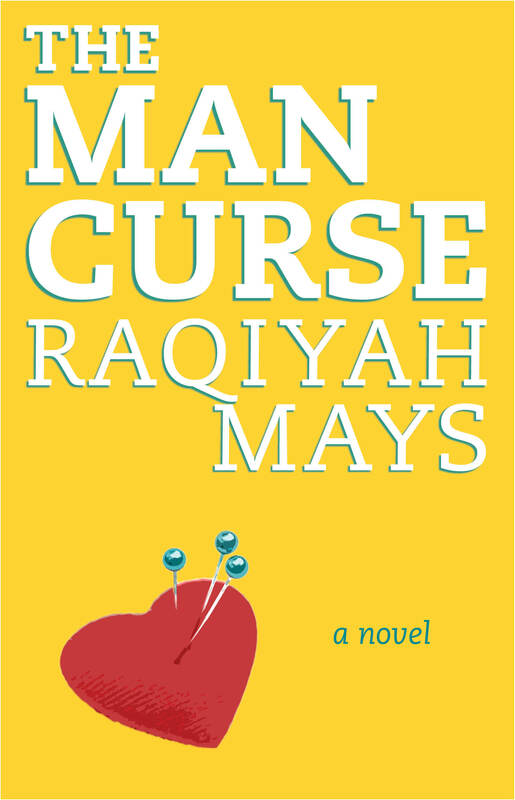 They believe in #TheManCurse. They like it! So for a LIMITED time they’re offering my novel for only $1.99. (GASP!) Yup…A special presale price to be delivered to ANY device (Kindle, ipad, laptop, home computer, smartphone, tablet, or blackberry. Who has a blackberry? Someone…Basically ANY device) on D-Day, November 16. So you can read it on the train, on the go, just like you stay glued to Facebook and/or Twitter. Here’s the thing, presale numbers are how books make the best-seller list. They’re like opening weekend box office ticket sales. Presale numbers are everything. I remember exactly where I was a year ago today. August 9. 2014. Woke up preparing to set up my son’s 10th birthday party. But I was late. I couldn’t move from in front of the TV screen. I was stuck in shock, glued in anger, pulled with pain to the image of Mike Brown’s bloody body lying dead on the ground in the middle of the street, broad daylight, in Ferguson, MO. I watched for a few minutes. National TV. MSNBC. Completely traumatized. His mother and entire neighborhood watched for 4.5 hours. She was an obvious emotional wreck. I couldn’t speak. All I felt was this mangled knot in my stomach. It creeped with a simmering knock between the ribs. Bubbled and boiled into my throat. Steamed with a burning rage of silence. It’s something I’m prone to doing when initially pissed. I don’t speak. I’m quiet. Sorta feeling. Mostly numb. Contemplating. Barely breathing. I managed to force myself to leave the house, eventually answer texts wondering where I was, and get to my child’s party, late, to set up. I remember staring at a backyard full of lil black boys in Brooklyn wondering how I could possibly save my son or any of them from death by cop. From being deemed a criminal and shot dead because of the color of their skin. I sat surrounded by mothers, feeling powerless and pissed, knowing that even if I raise my child to do the right thing it might not be enough. I could still get that nightmare call that he’s been killed. Made to look like a criminal. Made to watch an edited video tape. Made into a hashtag. 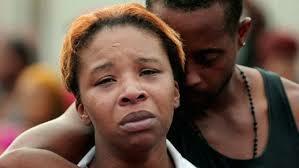 I saw the dead image in my head of #MikeBrown. His mother. Leslie McSpadden. Face and hair a mess. Screaming and crying. Someone holding her up. Knowing I would be the same. Do the same. And never from that day forth, like her, and so many others across the country – even a year later on August 9 – be the same. So here we are, 365 days later, still mad. Still traumatized. Still fighting. But I still won’t go back. I can’t. Something is different this time. Something calls me to push. Something moves me forward. An addictive movement. A tag on the heart for life crisscrossing streets from coast to coast like a neverending social media hashtag. #blacklivesmatter Because so many of color in this country are stressed about trying to live another day without some cop trying to legally take our life and walk free like it doesn’t matter. I don’t know how to end it. I don’t know when it will end. All I do know is that I will do whatever I can, daily, from that day, to this day, to my last day, to make sure that this injustice ends – for myself, my child, my people, my legacy. Till we win. Till black lives really do matter. You are currently browsing the Raqiyah Mays blog archives for August, 2015.